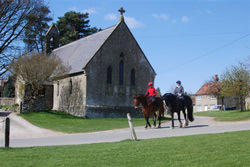 Rectory Farm has a private yard with stabling for up to six horses in a quiet, unspoilt village in the North Yorkshire Moors National Park. 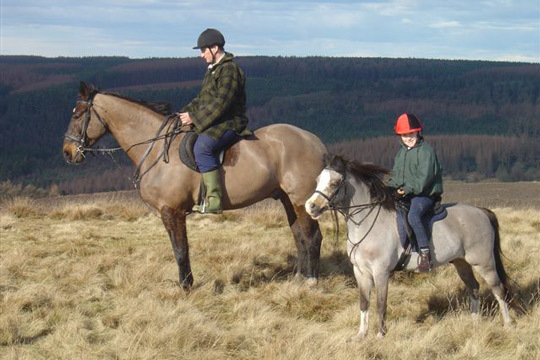 With easy and unlimited access to an extensive network of bridleways, moorland trails, forest tracks and footpaths. 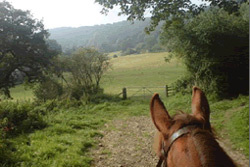 You may walk, ride or cycle along old green lanes up onto the moors and then alongside a deep glacial gorge or admire the Roman or pre-Roman Entranchments. With the changing seasons, spring lambs, fox cubs, badgers and Roe deer await in the quieter corners. In the Summer and Autumn the moors are a special place with a riot of colour and the heavy scent of heather blossoming and grouse giving their alarm calls. 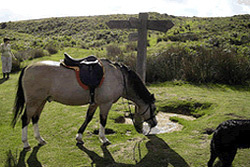 The area affords many circular routes for horse riders of all abilities, it is possible to lengthen or shorten a ride to suit your itinery, from a couple of hours to all day trekking. Give your horse a holiday too!